← GirlFriend Power: The new, new thing. Speaking of Global GirlFriend Power (see yesterday’s post), here’s an amazing project I heard about in January from Juanita. She is a bit of a blogaholic and found me about three weeks into my 365-day stint. Once I heard her story, I’ve been dying to write about her. Juanita Benedicto worked as a librarian in Eugene, Oregon until August of 2009 when at the tender age of 40, with her daughters grown, she decided to quit her job and follow her heart, moving to a magical place in Central Mexico called Buen Pastor (Good Shepherd) where she had volunteered for the last four summers. The girls of Buen Pastor with their Madre. 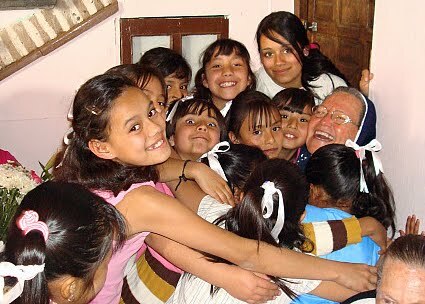 Buen Pastor has been shepherding women and girls through times of crisis and hardship for 105 years in the beautiful city of Guanajuato, Mexico. It’s comprised of a shelter for abused women and their children, a foster home for girls, and a middle school, and was started by the beloved Santa Maria Eufraisa. Buen Pastor is still run by 8 nuns… 7 of them over the age of 65. So when Juanita and other volunteers came to offer their help, it was welcome indeed. The 30 foster girls living in “internado”at Buen Pastor are between the ages of 3-18 and have parents trapped in poverty, crisis, violence, or they have just been placed at Buen Pastor temporarily. Each of these girls has had a life filled with insecurity and hardship, and comes from a poor, underserved community. Some have been at Buen Pastor for more than 6 years; some just a few months. All have a story to tell- and a powerful need to tell it. 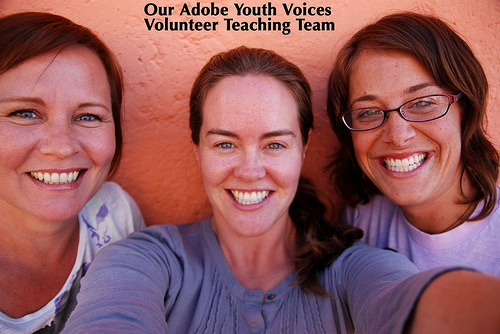 The Adobe Youth Voice Project. 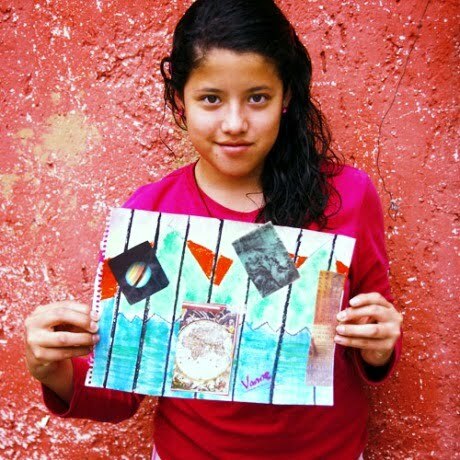 is a creative initiative started by the women volunteers of Buen Pastor to minister to 12 of these these girls, ages 11-16. Juanita and her compadres Rebeca Beeman, lead teacher, and Katie Clancy, eStudio 437, will spend eight weeks teaching the girls to tell their own stories, share their ideas, exhibit their potential, and have a boatload of fun gaining expertise in using photography, multi-media, digital art, animation and audio tools. The ultimate goal of Adobe Youth Voice Project is to empower the girls to find their own unique voice, articulate their strength, and realize their potential. Juanita writes, “I love the girls so much. I want infuse them with hope, inspiration, creativity, and the belief that they can succeed!” This project is the perfect vehicle to allow that transformative expression to happen. When I look at these beautiful young girls’ faces, all I can say is — Me, too! 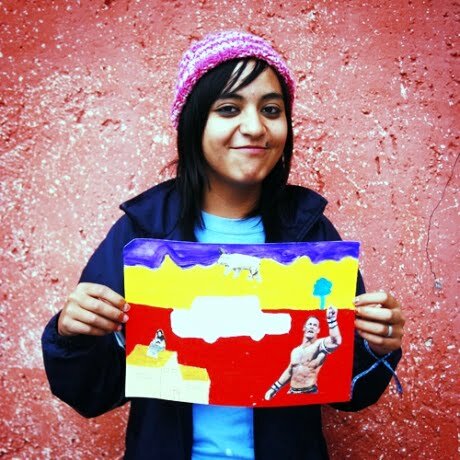 You can support the work of the Adobe Youth Voice Project at Buen Pastor here.